Justin from American Trucks shows us how fast the F150 can go with the Coyote V8. 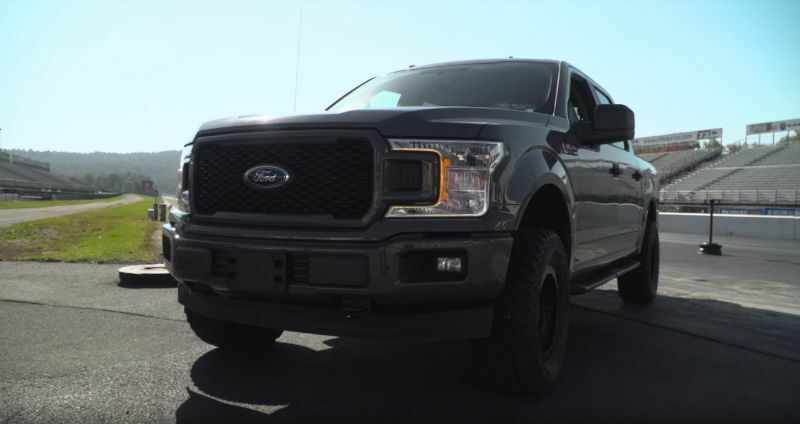 This video features the 5.0-liter, V8-powered F150. They try out three of the basic modifications that are most commonly used by vehicle owners. These include an intake, a tune, and a cat back exhaust system. From there, they Dyno the exhaust system to compare numbers. And then, they go to the local track strip to test it out in the real world. 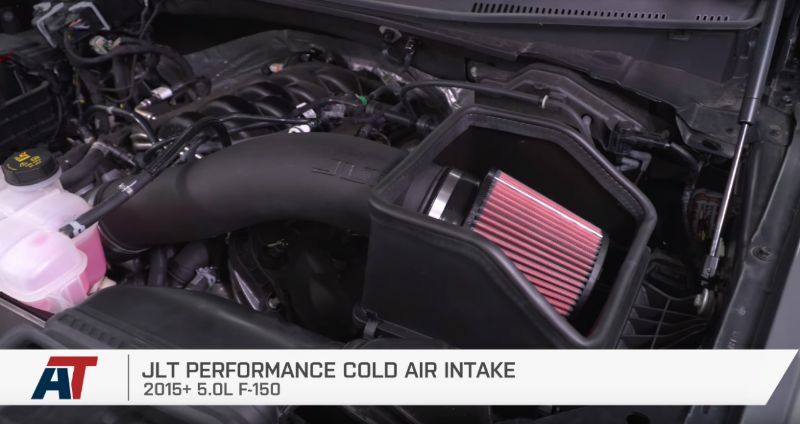 The first modification is the installation of the JLT Performance Cold Air Intake designed for the 5.0-liter F150 from 2015 onwards. Justin chose this intake because of JLT’s reputation for enhancing power. He also pointed out the lack of tuning required, which is common, and the appearance with its exposed 4.5-inch filter. It includes a 4-inch plastic intake tube, a nice appearance, and takes about 15 minutes maximum to install. From there, Justin took care of the tuning using an ID Motorsports Tune. Justin has positive experiences with tunes from this brand, so the F150 in question got a 93-octane tune. 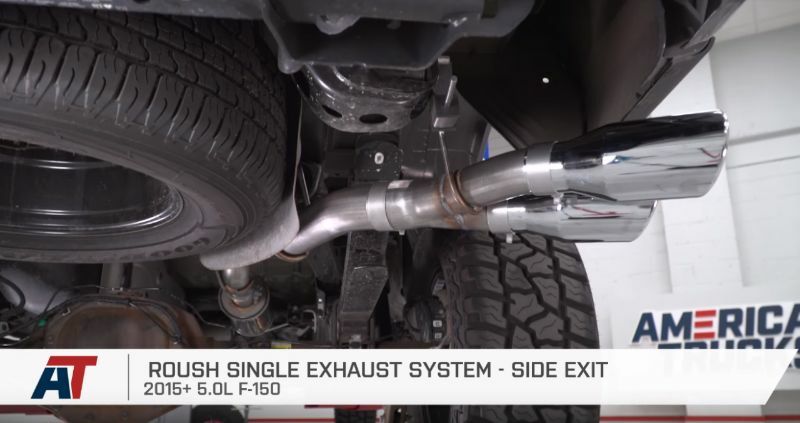 The modifications round out with a Roush Single Exhaust System – Side Exit installation, also designed for the 5.0-liter F150 starting with the 2015 model year. Justin partially chose this particular cat back exhaust system for its nice, loud noise. He also selected it due to its popularity. Depending on your wheelbase, you may need to do a bit of trimming to install it. The Dyno pulls were done in fifth gear since the sixth and seventh gears have speed limiters in place. The stock version of the truck produced 314 horsepower and 322 pound-feet of torque on 93-octane. Following all the modifications, including the ID Motorsports tune, it made 355 horsepower and 354 pound-feet of torque, once again on 93-octane. This translates into a peak gain of 41 horsepower and 32 pound-feet of torque. The bigger gains appear under the curve. These gains are an impressive 43 horsepower and 56 pound-feet of torque. 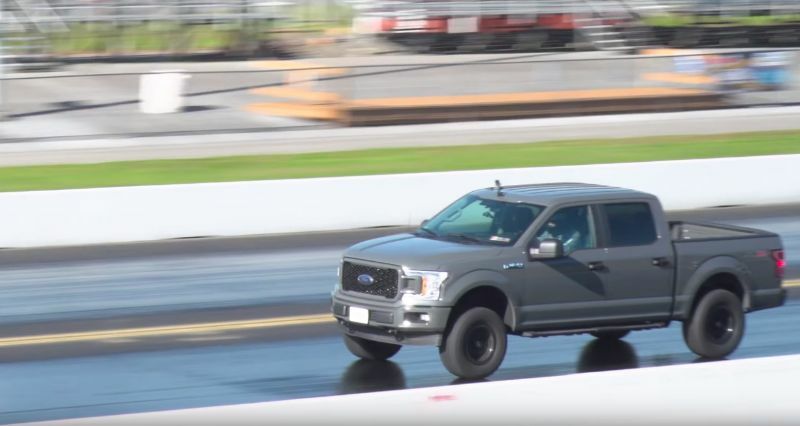 Next up, it was time to go to the track to test out the 2018 F150 with all of the modifications. There is also another American Trucks modification on the track, with similar modifications on the Chevy Silverado. Since there is no baseline number for the stock vehicle, there are no records that they are specifically trying to beat. Justin does not expect super-amazing numbers since this is a large, heavy truck with a Super Crew cabin. Justin starts by scrubbing the rear tires and shift into four high. The result is 13.838 seconds and 99.55 miles per hour. It did not spin in four high, which was not surprising. Justin was very happy with the results from the testing. He was anticipating high 13s. For the second run, Justin tries to get more RPM out of the hole. The result is 13.906 seconds and 99.47 miles per hour. This was once again four high and in Sport Mode. For the final run, Justin decided to throw the truck into two-wheel to see if it could increase the mph, despite having doubts about how the tires would handle it. It led to 13.967 seconds and 100.34 miles per hour, for the fastest speed with the modifications.